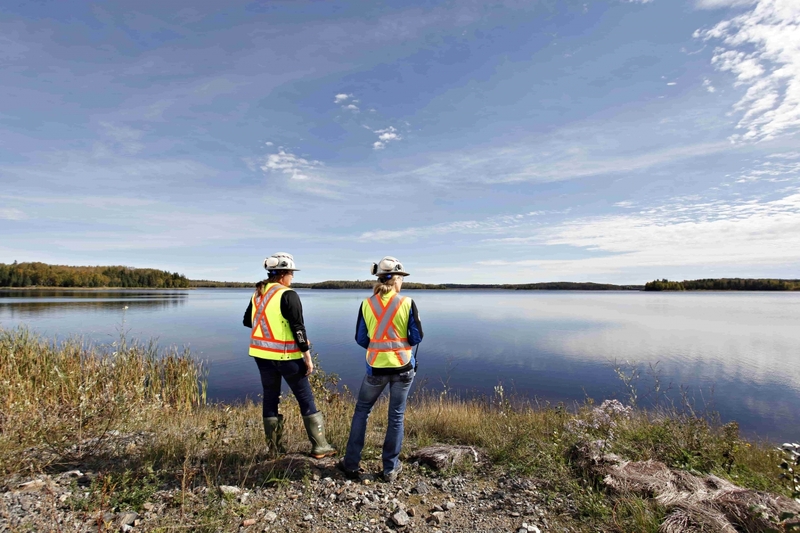 Goldcorp’s Towards Zero Water (H2Zero) Strategy targets dramatic reductions in our use of fresh water and increased water recycling rates at every one of our operations. An immediate goal is to reduce all forms of “high-calorie water” extraction which we define as the extraction of water not necessary due to dewatering or the inadvertent capture or precipitation by our existing facilities. Ultimately, we will attempt to eliminate the use of “high-calorie water” entirely at our operations. The strategy has sparked some immediate water savings at our sites, such as that resulting from the water recycling project commissioned at Red Lake Gold Mines in 2018, within the Campbell Complex Paste Backfill Plant. The project involved recycling overflow water from the paste plant thickener back into the milling process in order to reduce fresh water consumption from the neighbouring Balmer Lake. Originally, the overflow water from the paste plant was sent directly to the waste treatment plant and ultimately discharged to the tailings pond. This year, a new 4” pipeline was installed to redirect the overflow water to the leach thickener for sediment removal prior to being sent to the process water tank for reuse within the mill. Based on water accounting throughout 2018, the water recycling project has reduced fresh water consumption from Balmer Lake by approximately 80% or 25,000 m3/month! Additionally, in 2018 Red Lake Gold Mines looked to further reduce fresh water consumption with a recycling project in the reagent mixing area. This project is in progress and is planned for completion in Q4 2018. We expect H2Zero to trigger other improvements and innovation that will lead us to significantly reduce our water footprint. To learn more about Goldcorp’s water stewardship, visit our 2017 Sustainability Report and our recently published 2017 Corporate Water Summary.